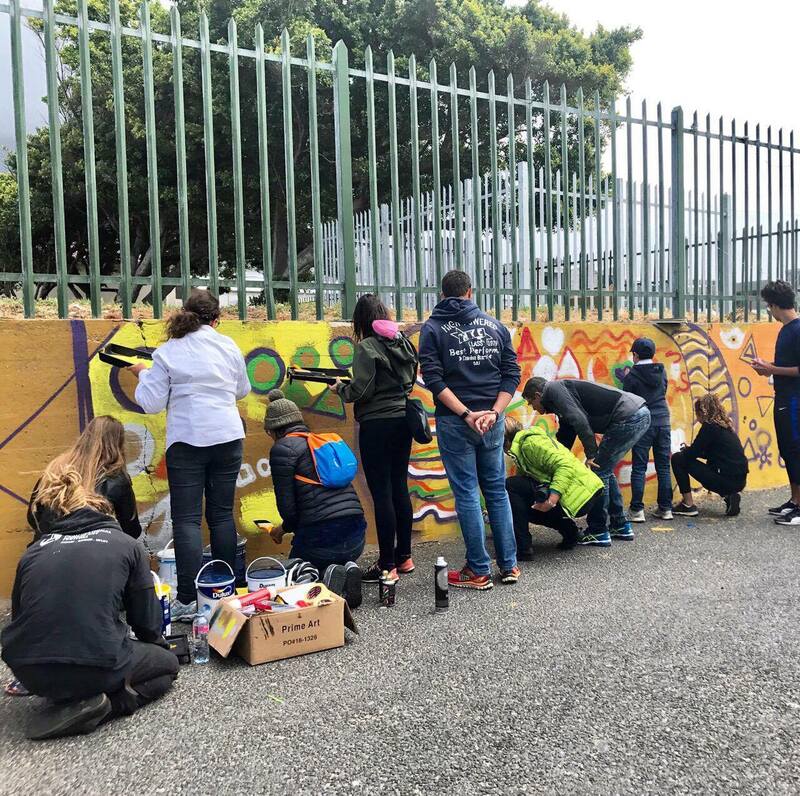 This article is dedicated to thanking all who has participated in our street art tours and contributed the liveliness of this organisation! Mak1One at work during IPAF 2017, Salt River, Cape Town. 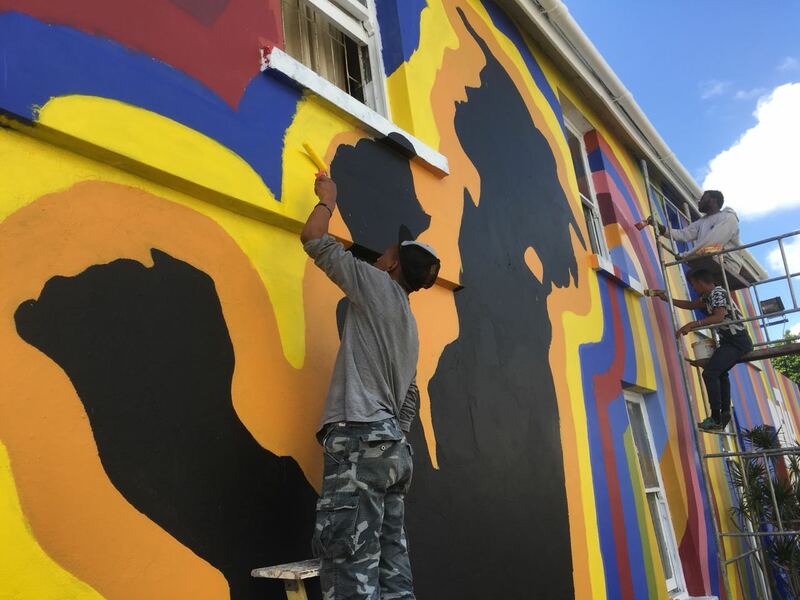 The street art tours was conceptualised when BAZ-ART saw an opportunity to bring new light, positivity and employment possibilities to street art or better known “graffiti”. Unfortunately, up until recent times graffiti was only recognised for destructive and negative connotations. For too long local street artists have been shunned and shamed for graffiti. Which when guided and implemented in the correct ways could evolve into something truly beautiful and inspirational. We live in a consumerist society where we are often bombarded with public marketing by corporate giants who force feed us their promotional content and are merely trying to sell us stuff. 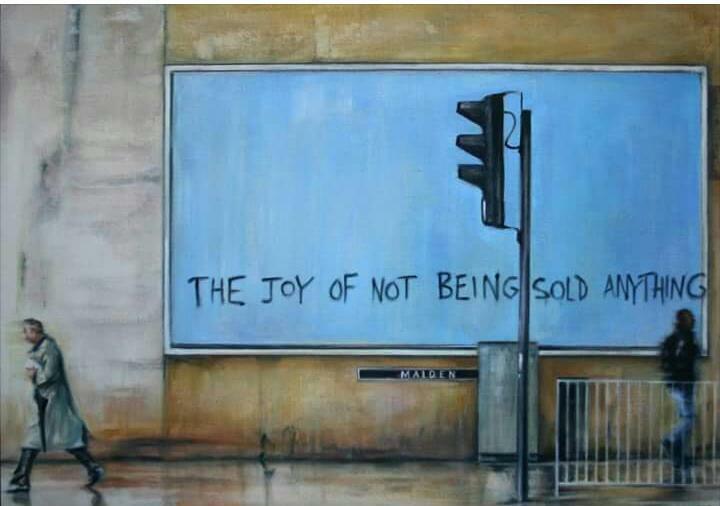 They slip into our unconscious through simply being seen everywhere and try to make us buy stuff and the only way for them to sell it is to convince us that we are not enough. So it brings us the greatest pleasure to use these public spaces as canvasses to bring colour, inspire, challenge and educate. Through these tours, we are able to convey the current dialogue, national heritage and a South African narrative to all who steps foot on our shores. Truthfully, you could probably make your own itinerary or just randomly bump into a mural much like you would do in cities like New York City, London or Paris. Street art by nature is accessible and free for all to enjoy but in order for us to do more of what we do, we urge you to take the tour and which contributes to sustaining the cause. As many Non- profit organisations might know, depending largely on external funding for the liveliness of your organisation always has it downfall and it leaves a permanent sense of uncertainty. Through the tours, BAZ-ART has strategically set out to ensure the sustainability of the organisation over time. We acknowledge that we can only maximise on our social impact by creating a sustainable non-profit approach to a business centric model. An increase in demand for the tours will allow us to employ and qualify yet more local tour guides. The additional exposure will in turn ensure more commissioned opportunities for artists throughout the year. The more traffic we get, the greater the impact that we make! 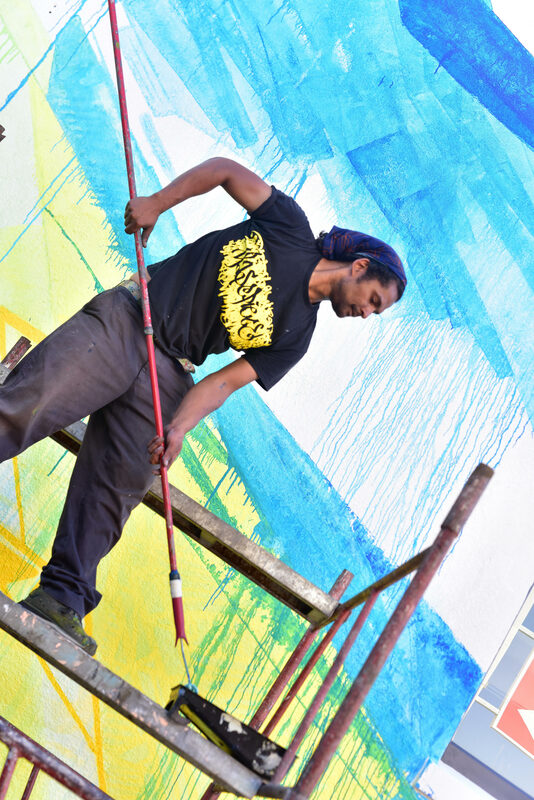 – “Spray can” workshops at R650 per person which allows you to grasp essential skills and techniques with the aid of an experienced street artists. Through the workshop the artist demonstrates just how much technique is required to master the art. -As a cherry on top, we offer as an addition a home cooked traditional Cape Malay meal for R450 prepared by one of the local residents. The tour kicks off with your guide picking you up from Beth Uriel’s Mekasi Coffee shop on Victoria Road, Salt River at the time of your choice from 8:00am to 4:00pm. This street art tour of two hours will be run by a professional tour guide who is knowledgeable on the artists and the festival. She will give you a comprehensive introduction to the history of the neighbourhood, the organisation and a background of the artists that were involved. 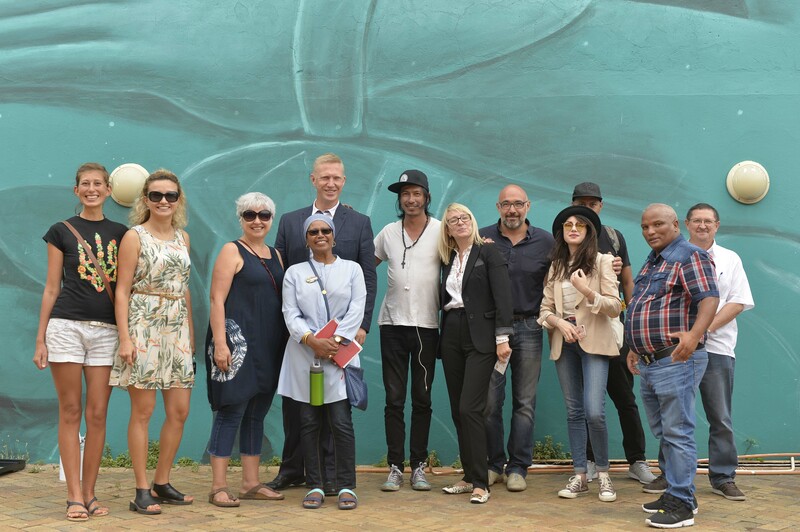 Our guides, Anthea and Nadia are locals from the community who are street art enthusiasts whom, we have trained and qualified as official registered Western Cape Tour Guides. They have been with us since the start and it brings us great pleasure to know that through our tours, they now too have additional incomes to sustain their families.